Today started dull, with rain forecast, but it stayed dry all day – the dull bit they got right unfortunately! On days like these big views often look flat but it’s perfect for waterfalls. Sunlit waterfalls often disappoint because details can be lost in the brightest areas. We started off following the Coast Path for a couple of miles to Countisbury Hill. A jolly fine viewpoint overlooking Lynmouth but very windy too. A good one to come back to on a bright day. It was just about midday and we happened to be passing the Blue Ball Inn so we ventured in for a swift pint. It would have been churlish not to! 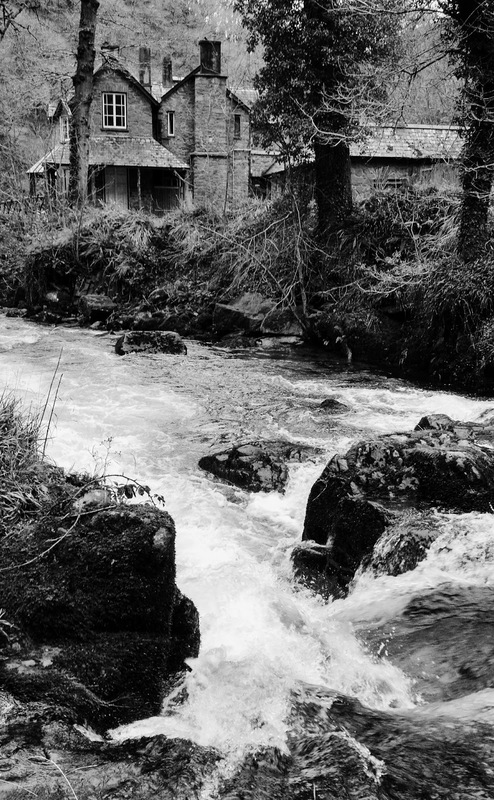 From here it was all downhill to Watersmeet. With all the recent rain the waterfalls were spectacular, much more water than on our last visit a few years back. Jan carried my tripod for me as I knew it would be needed to give me the streaky water effect that I like. I just carried my Mamiya 7 camera with 43mm wide angle lens, Sekonic spot meter and a few rolls of Ilford 120 FP4+ and 400 Delta. I only used the FP4+. The pictures needed me to wade into the river in several places to put white water in the right part of the frame. Fortunately my Hill walking boots are 10 inches high and Gore Tex lined (Meindl Dovre Extreme GTX) so I remained dry shod. 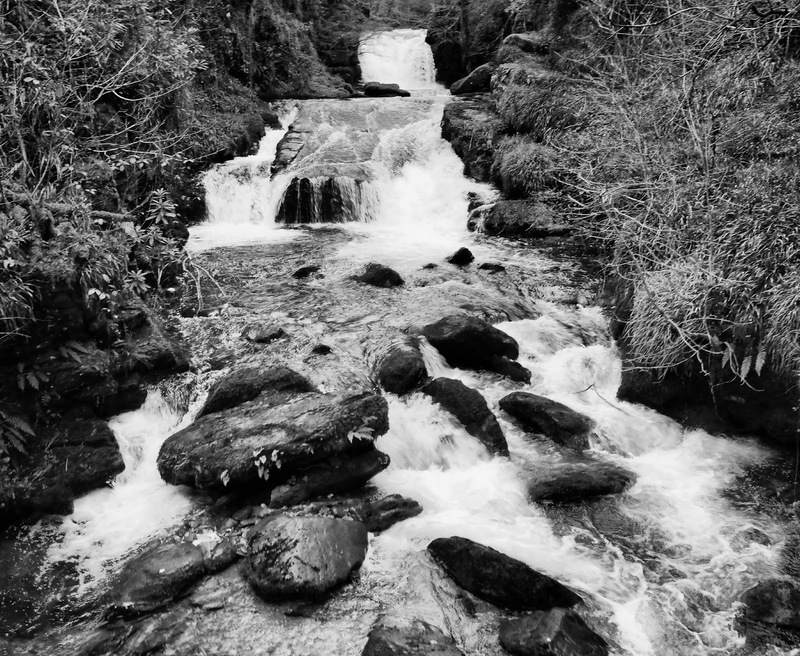 2 films later we moved off on the final 2 mile riverside walk to Lynmouth. A bit under 8 miles in total and my bad back still seems to be as well as can be expected!